I still remember when I had seen the trailer of Oh My God years back, I was unsure that the movie will impress me or anyone for that matter. The film was made purely to spread the message the makers believed in rather than proving that they are providing us the another level of cinematic experience. 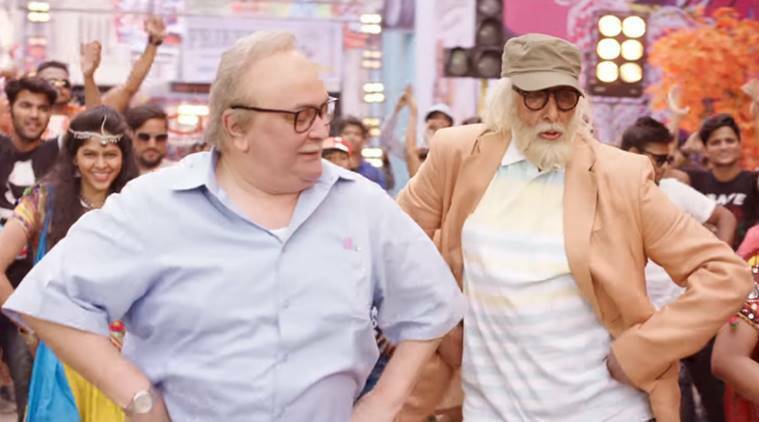 The director, Umesh Shukla, has repeated the similar performance in his latest creation, “102 Not Out” starring none other than the superstars of the yesteryears, Amitabh Bachchan and Rishi Kapoor. The film is made with pure heart and it reflects in each and every scene and each and every dialogue. Director has not tried to do something pathbreaking with the movie but kept everything very old-school and made a simple movie of not even 2 hours and managed to provide a light entertainment to the audience. Though I believe that much could have been done with the subject selected for the movie but still director has managed to make you leave theater with smile and feeling of pleasantness. The story is based in Mumbai but most of the times, the characters are walled inside their bungalow itself which leaves the movie to shine only on the basis of the actors’ performances. The best part is that actors have not disappointed the movie. Talking about the performances, Amitabh Bachchan playing role of a 102 years old father who is full of life and believes age to be just a number, is pitch perfect and outshines in each and every scene. The Gujarati accent though is not fully justified by him and few dialogues are not understandable because of the same reason but still Bachchan’s performance is flawless. Rishi Kapoor playing 75 years old son also gets full marks. The attitude of grumpiness that he needs to keep throughout the movie is very well performed by him and he is also able to make audiences laugh when he challenges his father’s philosophies in few scenes. The performance given by both the actors in the emotional scenes are wonderful and something you will take with you while leaving cinema hall. Jimit Trivedi has also marked his presence in the movie with his comic timing and supporting performance. Overall, 102 Not Out impresses. The climax makes you feel good and sad, both at the same time, and this tells about the kind of story the movie talks of. I give the movie 3.5 stars out of 5.